In July 2017, Zaimella launched Prudential Invisible protective underwear through the Amazon digital platform to serve the United States’ market. Zaimella established its first factory in Florida, USA, in 2015. It was then when the company identified that the digital platform market was one of the fastest growing markets. “That’s why we took on the challenge of entering Amazon with our flagship product: Prudential Invisible. We see that the future indeed lies in offering the consumer a convenience quality product, through a good service that makes the product available to the consumer bringing it directly into his home” says Emilia Crespo, International Business Manager at Zaimella. This is the first time that Zaimella sells its products through e-commerce platforms, but there are plans to also market Panolini Premium Plus and Delicare through Amazon to satisfy the needs of the U.S. market. 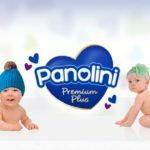 “Panolini has been positioned as a fashion diaper, with an extra soft fabric and high absorption capacity, we see that this is a segment that does not exist yet in the U.S. market and we believe that there is a great potential”, adds Emilia Crespo. At the moment, Amazon is the first and only e-commerce platform through which Prudential Invisible is distributed in the United States, however, in the future the company is open to using other digital platforms for online sales. Amazon is a United States based e-commerce company whose headquarters are located in Seattle Washington. It has 300 million users and its sales represent 30% of the e-commerce sales channel nationwide. To learn more about our products in Amazon click here.